Today is birthday 125 for good old H. P. Lovecraft — and that landmark anniversary was the excuse to jet off to PulpFest and participate in the panels on the Cthulhu Mythos (HPL’s major claim to fame) and Weird Tales (where HPL’s involvement is the major claim to fame). For the convention program book, The Pulpster, they asked several noted Lovecraft fans — some attending PulpFest, some not — to do about 500 words on encountering HPL and Weird Tales. I may as well put up my tidbit here as a birthday candle of sorts, since in the program book they didn’t use the concluding italics (a Lovecraft staple), and changed a few other things (and didn’t use any individual titles). If by chance a much younger me had yet to encounter a single story from the pulp pages of Weird Tales, that situation changed cataclysmically in 1967 when the Frazetta cover for the Lancer paperback Conan the Warrior attracted my eye. 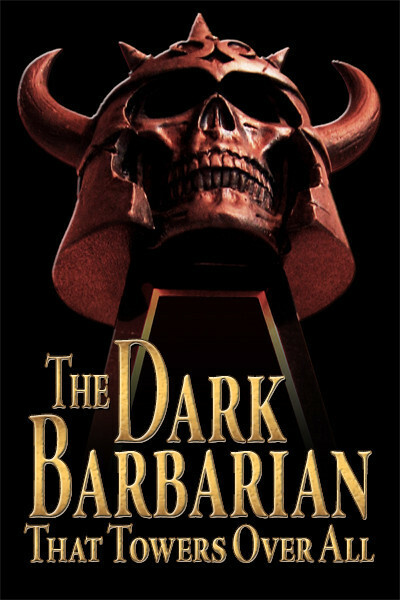 Under one set of wraps, both “Red Nails” and “Beyond the Black River” by Robert E. Howard — two of the greatest stories ever to appear in the Unique Magazine. You have to feel sorry for critics who do not appreciate the Texan’s artistic achievement. Me, I got it instantly. More stories from Weird Tales followed, with Clark Ashton Smith my next favorite of the crew. In my opinion, if you’re going to name your magazine Weird Tales then you need genuinely weird fiction, and no single writer better served that need than Smith. From Arabian Nights fantasy to cold grue, he could dish it up, and in a style that let you know you weren’t reading the Saturday Evening Post. Meanwhile, my initial encounters with H.P. Lovecraft weren’t doing anything for me. I’m pretty sure the first tale I tried was “In the Vault,” and although it is perfectly serviceable boneyard horror, I doubt anyone today would put it at the top of an HPL list. The turning point in my regard for HPL came when I moved to the San Francisco Bay Area and met George F. Haas, a lifelong fantasy fan and good friend of Clark Ashton Smith — George had bought the first issue of Weird Tales straight off the newsstand, and every issue after that. 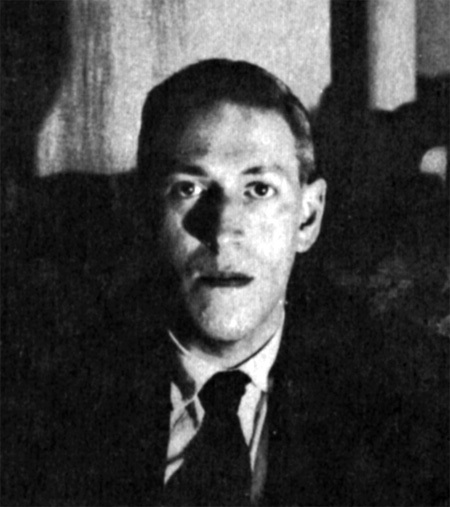 He explained firsthand how readers knew Lovecraft was top rank as soon as “The Outsider” hit print. No question as far as the audience for Weird Tales was concerned, here was the new Poe. I often reread HPL, especially my favorite stories. “The Festival.” “The Shadow over Innsmouth.” The Case of Charles Dexter Ward. The seemingly effortless “The Haunter of the Dark,” the Old Gent’s last yarn for Weird Tales. But as I grew into a fan, I had a parallel experience I’ll always be grateful for — meeting actual pals of HPL. Certainly, anyone reading Lovecraft’s many letters will feel almost as if they are getting the mail themselves, but how much better to sit hour after hour talking to Donald Wandrei, after I moved for awhile to St. Paul. In Wandrei’s darkened book-stacked living room I first met E. Hoffmann Price, who I would see again and again after moving back to San Francisco. And I’m glad I made the trip up to visit with H. Warner Munn in Tacoma for a week. If these guys all liked HPL, I had no doubt I would have too. Stopping in New York years ago I talked my pal Ben P. Indick — a longtime Lovecraftian, like so many of my pals — into making a drive into Brooklyn to track down the Lovecraft residences. On the way back we paused outside the apartment where Frank Belknap Long lived. Long saw more of HPL than any of his other friends, and I had never met him. But his wife could be a pest, and Ben told me that while he knew them — we could walk right up to the door and ring the bell — he hadn’t attracted the attention of Madame Long in a few months and preferred to keep a low profile. I understood. We looked at the lit first floor windows for a moment before heading off, leaving another potential connection for me to Lovecraft unmet. Alas. Young Belknapius! It was not to be. 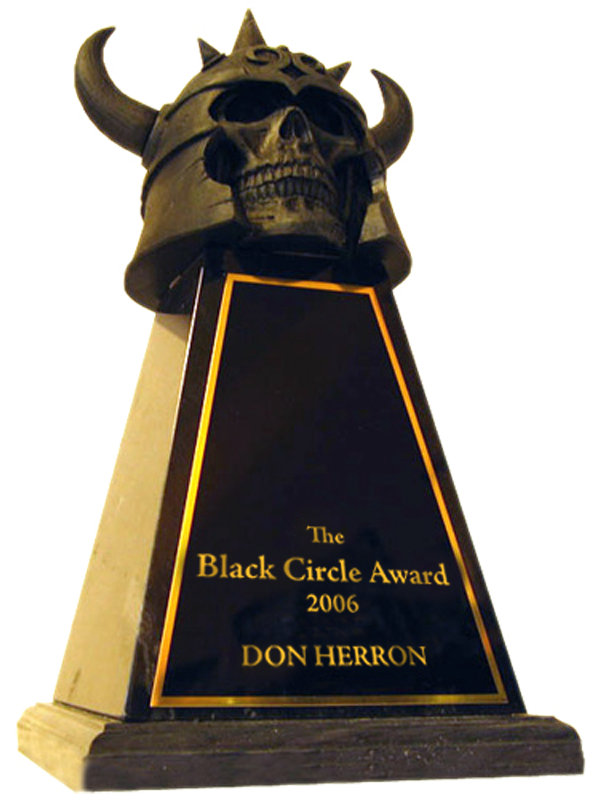 This entry was posted in Lit, News, REH and tagged Ben P. Indick, Clark Ashton Smith, Cthulhu Mythos, Donald Wandrei, E. Hoffmann Price, Frank Belknap Long, George F. Haas, H. Warner Munn, Lovecraft, PulpFest, Weird Tales. Bookmark the permalink.